Wearables, telemedicine and artificial intelligence are just the start of a technological tsunami disrupting one of the most broken business models in America. Healthcare reform and escalating demand continues to put new pressures on hospitals, physician and medical service providers and savvy organizations are turning to technological solutions to gain competitive advantages, enable innovative capabilities, contain costs and enhance efficiencies. At the same time patients are living ever digitized lives and demanding more of medical providers. Explore the most promising and pronounced trends impacting healthcare. 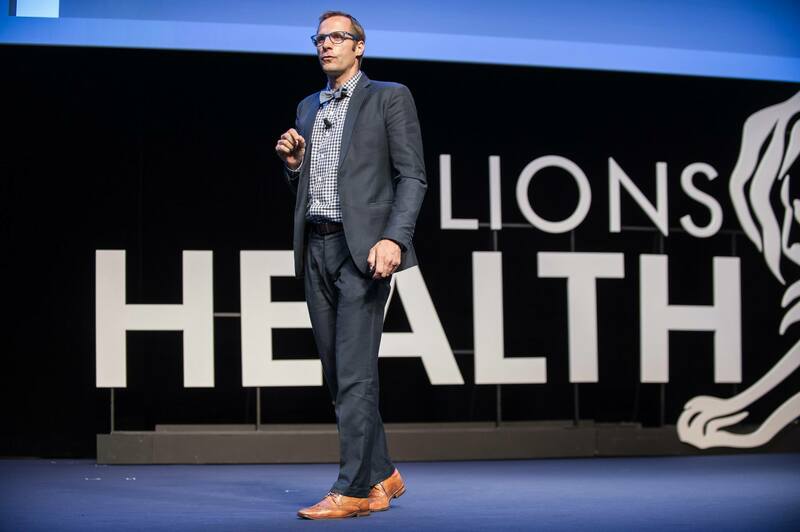 Big questions regarding the efficacy of technology to cut costs, improve accuracy, and raise quality remain but the future of healthcare is digital and organizations need to prepare now for the coming transformation. The next era of financial intermediation is upon us. The coming digital decade will transform every aspect of finance. Digitization is opening new market opportunities from AI-driven decision making to cryptocurrencies. Bots and other emerging technologies are influencing how individuals interact and changing the advisor-client relationship. Mounting cyber attacks, the rise of artificial intelligence and digitized data are altering risk management and mitigation, how decisions are made, and how valuations are derived. Every element of the financial community will be impacted by disruptive digital forces, creating both havoc and opportunities for incumbent firms and start-ups alike. Artificial intelligence and robotics are challenging traditional norms of work. Employers are increasingly incorporating digital tools and in turn, redefining work and the modern day worker. Yet, at the intersection of technological innovation and human work, there are a myriad of complexities developing. The new breed of quantified workers will enhance productivity and opportunities for business expansion but employers have to handle mounting privacy concerns and new challenges for executives. A host of emerging technologies offer opportunities for business expansion and potential efficiencies while creating new challenges executives must tackle. The world of logistics and transportation are being transformed with the advent of self-driving vehicles, robots and the mass digitization of supply chains. The wide deployment of sensors will enable data harvesting from connected individuals, equipment and transportation facilities that will drive data-driven decisions and streamline execution. Technological-induced changes have implications for the entire supply chain as new services are born that are forever changing the face of transportation. Technological shifts are reshaping the urban landscape and producing social change in cities around the global. Municipalities are rethinking infrastructure and transportation investments while seeking ways to protect and optimize scarce resources to improve the quality of life for it’s residents. At the same time consumers are embedding smart technologies throughout their home and personal lives. Wearable sensors are facilitating robust and dynamic real-time data while technological transformations like self-driving vehicles are poised to massively change structural elements of cities throughout the world. The digital revolution is both consolidating and fragmenting the landscape in retail, hospitality, and a plethora of service industries. The internet opened a wide gamut of competition from merchandising to pricing to creating a curated consumer experience. Brands are bidding for loyalty but at the same time ever-more demanding consumer expectations are colliding with legacy service models. Emerging technologies like virtual reality, augmented reality, drones, and digital payments are changing how we interact, shop, and make decisions. Executives are facing immeasurable challenges as the confront a digital world redefining service. Not long ago we talked about “going online.” In these early days our experiences in the digital world were largely isolated from our analog lives. Today, we dedicate an escalating amount of our time each day to smartphones and spend much of our waking hours consuming media across an assortment of devices. Two-thirds of Americans report they get at least some of their news on social media sites like Facebook and Twitter and as a result, technology is having an oversized impact on social norms and culture. The lines between what happens digitally and what happens in our physical lives as blurred beyond recognition. Our identities are increasingly being digitally defined and this has pronounced implications for society as romantic relationships, politics and everything in between are transformed. A profusion of technological changes on the horizon are poised to forever change the way we work, live and communicate. Voice computing is ushering in a new user interface and changing the way we compute. Virtual reality and augmented reality are altering the way we interact and blurring the lines between the physical and digital worlds. New use-cases for drones, 3D-printers and wearables are arising daily. Self-driving cars, artificial intelligence and the blockchain are fundamentally changing business processes. Increasing swaths of our lives are connected but cybersecurity and privacy concerns are just some of the challenges as we usher a new world filled with technological innovations. Ten years ago the number of “things” connected to the Internet surpassed the number of people on the planet and this technological tsunami continues to escalate. As objects add capabilities such as context awareness, processing power, energy independence the Internet of Things will grow exponentially. illions or even trillions of connections becomes a network of networks and create boundless opportunities for businesses, individuals and countries. There is a tremendous amount of experimentation taking place today that will redefine our future and influence how we work, communicate and live. The fuel of the next industrial revolution is upon us but it will not be mechanical inventions as it has been through all the ages of history. Elon Musk argues artificial intelligence (AI) poses a greater threat to humanity than nuclear weapons while Facebook CEO Mark Zuckerberg believes AI will save lives. This juxtaposition reveals the existential threat and potential AI possesses. From accelerating information flow on major weather events to writing sophisticated texts, spreading fake news and undermining public trust, AI is ushering in a new digital paradigm. What’s clear is that AI is going to change all that we know about the digital world and in turn, have massive ramifications on the physical world. IoT, AI, Digital Assistants and the Future of Media, The Council for Research Excellence, December 5, 2017. Identity in the Digital Age, Campaigns and Marketing Summit, Washington, DC: November 13, 2017.
Business Model Innovations, UnleashWD, Chicago, IL: November 3, 2017. Here Come the Robots, AIG, London, United Kingdom: October 19, 2017. The Future of Professional Services in a World of Digitally Defined Objects, AIG, London, United Kingdom: October 18, 2017. The 4th industrial revolution, a blessing or a curse?, FERMA Risk Management Forum, Monte Carlo, October 16, 2017. The Rocky Road to Retail Prosperity, PRO Fall Convention & Trade Show, Orlando, FL: September 26, 2017. The Future of Food Services in a World of Digitally Defined Objects, FSTEC, Anaheim, CA: September 18, 2017. Tech Trends to Watch, CES Asia, Shanghai, China: June 7, 2017. Tech Outlook for China and the United States, CES Asia, Shanghai, China: June 7, 2017. Five Use-Cases Defining VR, Mixed Reality, and IoT, RocketSpace Innovation Summit, San Francisco, CA: June 1, 2017. Bridge the Gap Keynote: How Rapid Innovation & Disruptive Technologies are Impacting the Pharma Industry & Beyond, Clinical Trial Supply Chain Logistics Forum, San Diego, CA: May 22, 2017. Key Takeaways from CES for Brands and Retailers, ShopTalk, Las Vegas, NV: March 19, 2017. Five Use-Cases Defining VR and Mixed Reality (together with Nonny de la Peña & Robert Scoble), SXSW, Austin, TX: March 14, 2017. Keynote, Berkshire Hathaway HomeServices, Phoenix, AZ: March 13, 2017. Keynote, FMA Annual Meeting 2017, New Orleans, LA: March 9, 2017. Tech Trends to Watch, Semi Industry Strategy Symposium, Half Moon Bay, CA: January 10, 2017. Doing Business in a Digital World (Moderator), CES, Las Vegas, NV: January 7, 2017. "CES 2016 Trends to Watch," Research Summit at CES 2017, Las Vegas, NV: January 6, 2017. Tech Trends to Watch, World Electronics Forum, Singapore: November 30, 2016. The Transformative Digital World Before Us," Technology Affinity Group Annual Conference, St. Petersburg, FL: November 17, 2016. "CES Trends to Watch," CES Unveiled New York, NY: November 10, 2016. "The Transformative Digital World Before Us," Translink Capital, Palo Alto, CA: November 3, 2016. "CES Trends to Watch," CES Unveiled Paris: October 25, 2016. 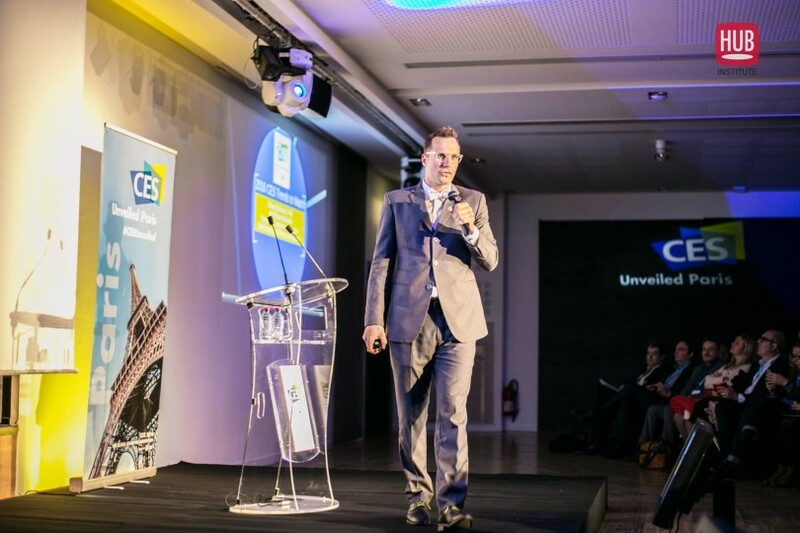 "CES Trends to Watch," CES Unveiled Prague: October 20, 2016. "Our Digital Destiny," George Mason University, Fairfax, VA: October 13, 2016. "Defining Arlington's Digital Destiny," Arlington Public Library, Arlington, VA: October 11, 2016. "CTA’s 23rd Annual Holiday Outlook," CTA Innovate! Celebrate 2016, San Jose, CA: September 20-22, 2016. "A World Defined by Digital Objects," National Association for Business Economics, Los Angeles Chapter, Los Angeles, CA: July 26, 2016. "U.S. Purchasing Trends and the Consumers Who Drive Them", New Age Electronics’ Annual Dealer Summit Conference, Los Angeles, CA: July 20, 2016. "Harnessing Technology to Drive Social Impact (panelist)," Social Innovation Summit, Washington: DC: June 7, 2016. "Tech Trends to Watch," CES Asia, Shanghai, China: May 11-13, 2016. "The Outlook for the Consumer Tech Market in China and the United States," CES Asia, Shanghai, China: May 11-13, 2016. "Tomorrow, the IoT : let's go further !," Internet of Things Showroom “SiDO”, Lyon, France: April 6-7, 2016. "Connecting Opportunities in the IoT Landscape," Energy Thought Summit (ETS16), Austin, Texas: March 29, 2016. "Five Best Startup Ideas in VR/AR," SXSW, Austin, Texas: March 17, 2016. "The Future in a World of Digitally Defined Objects," MarshBerry Spring 2016 Bank/TASC Summit, Dallas, Texas: March 8, 2016. "The Future and the World of Digitally Defined Objects", Deloitte America's LCSP Summit, Miami, Florida: February 5, 2016. "The Future and the World of Digitally Defined Objects", Bug Future Show, Zagreb, Croatia: January 28, 2016. "The IoT: Mitigating Risks and Harnessing Potential (panelist)" CES, Las Vegas, NV: January 8, 2016. "Mind-Blowing Wearables (Moderator)" CES, Las Vegas, NV: January 6, 2016. "CES 2016 Trends to Watch," Research Summit at the 2016 CES, Las Vegas, NV: January 6, 2016. "CES 2016 Trends to Watch," Unveiled at the 2016 International CES, Las Vegas, NV: January 5, 2016. "Wearable Wearables?," IBC, Amsterdam, The Netherlands: September 14, 2015. “IoT Decoded: Sensors, Small Data and Social Change," SXSW Austin, TX: March 15, 2015. "The Future in a World of Digitized Defined Objects," The Innovator's Conference,Washington, DC: January 23, 2015. "What is Our Digital Destiny? ", Churchill Club, San Jose, CA: January 13, 2015. "The Future in a World of Digitized Defined Objects," SEMI Industry Strategy Symposium, Half Moon Bay, CA: January 12, 2015. "Trends to Watch," Digital Disruption, Las Vegas, NV: January 6, 2015. "Digital Destiny: How the new age of data will change the way we live, work, and communicate," Storage Visions Conference, Las Vegas, NV: January 5, 2015. "2015 CES Trends to Watch," Research Summit at the 2015 CES, Las Vegas, NV: January 5, 2015. "State of the Consumer Tech Industry and 2015 CES Trends to Watch," Unveiled at the 2015 CES, Las Vegas, NV: January 4, 2015. "Wearable Activity Trackers: Engaging Consumers to Monitor their Health (moderator)," mHealth Summit, National Harbor, MD: December 8, 2014. "Trends to Watch," Entertainment Technology Center at USC Board Meeting, Hollywood, CA: December 4, 2014. "The Future in a World of Digitized Defined Objects," ANA Mobile First, Mobile Everywhere, New York, NY: December 2, 2014. "Postcards from the Edge: The Power of Proximity (panelist)," The Chief Digital Officer Global Forum, Half Moon Bay, CA: November 20, 2014. "2015 CES Trends to Watch", CES Unveiled NEW YORK, New York, NY: November 11, 2014. "Consumer Tech Product Cycles and Trends to Watch (keynote)," IPRO Conference, Scottsdale, Arizona: October 28-30, 2014. "2015 CES Trends to Watch," CES Unveiled PARIS, Paris, France: October 22, 2014. Open Data (Panelist), Collaborate Preview Event, Washington, DC: October 16, 2014. "Outlook for Consumer Tech," AMT's Global Forecasting and Marketing Conference, Detroit, MI: October 15, 2014. "2014 Holiday Sales and Forecast," CEA Innovate!, Phoenix, AZ: October 2, 2014. "Disruptive Tech: The Expanding Market Potential for Wearables (moderator)," CEA Innovate!, Phoenix, AZ: October 1, 2014. "The Future of Mobile Music Technology (moderator)," A3E Conference, Boston, MA: September 24, 2014. "Blurred Lines Between Pro-Audio Products and Consumer Products (moderator)," A3E Conference, Boston, MA: September 24, 2014. "Incentivizing Behavioral Changes: The Impact of Apps and Big Data (moderator)," Connected Health Summit, San Diego, CA: September 5, 2014. "The Intersection of Sports & Technology" (keynote), 2014 SFIA Industry Leader Summit, Chicago, IL: September 16, 2014. "Economic Outlook, (webinar)," Consumer Electronics Association, Arlington, VA: August 20, 2014. "Electronics Product Cycles & Trends," Stifel Retail Summer School at Columbia Business School, New York, NY: August 6, 2014. "The Current State of the TV Market," Presentation to CEA's Video Board, Arlington, VA: July 31, 2014. "Harnessing Wearable Data" (keynote), Wearable Tech Expo, New York, NY: July 24, 2014. "Changing Times, but is it Enough? ", Levin Consulting Executive Summit, Carlsbad, CA: July 23-24, 2014. The Next TV - By The Numbers: What are the trends and forecasts?, Your Next TV Conference, New York, NY: June 24, 2014. 3D Printing: Hype or The Future? (panelist), DI Symposium 2014, New York: NY: June 24, 2014.invited speaker, Your NEXT TV! Conference, New York, NY: June 24, 2014. 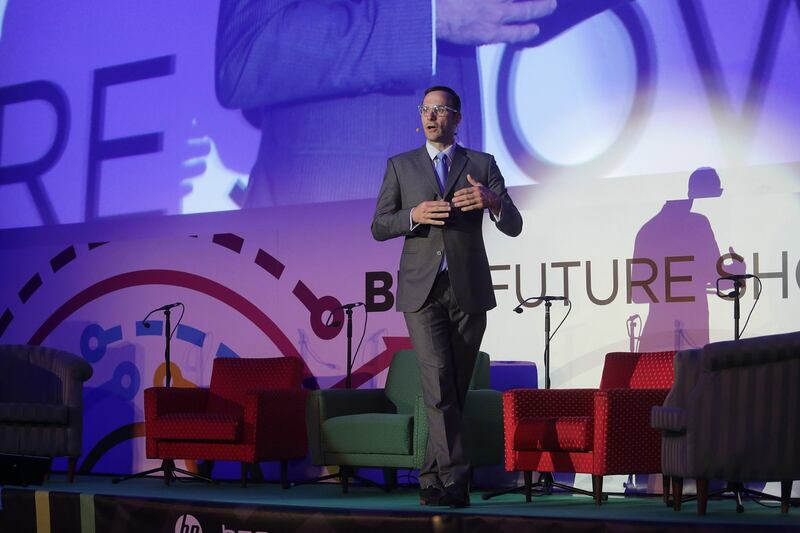 "Global Consumer Tech Trends", CES Unveiled WARSAW, Warsaw, Poland: June 5, 2014. "Global Consumer Tech Trends", Digital Africa, Lagos, Nigeria: May 20-22, 2014. "Economic Outlook, (webinar)," Consumer Electronics Association, Arlington, VA: May 14, 2014. 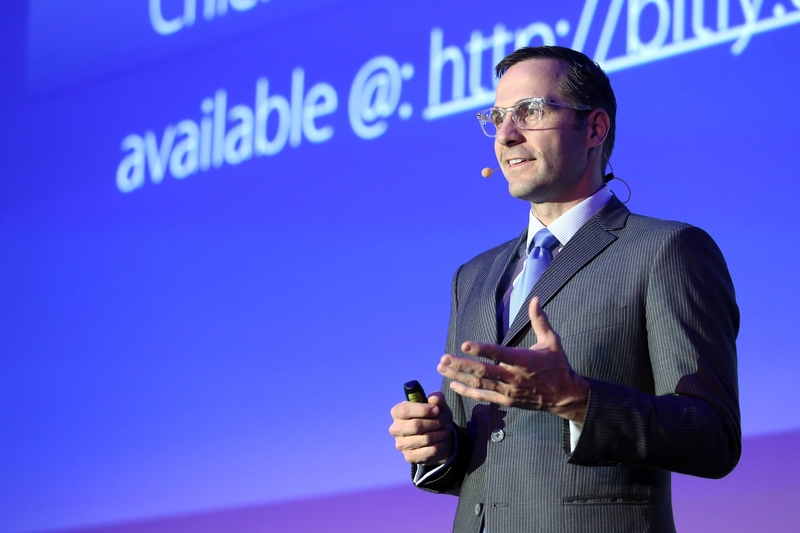 "Global Consumer Tech Trends", CES Unveiled SHANGHAI, Shanghai, China: April 8, 2014. "Contagious Synergy," HTSA Spring Conference, Scottsdale, AZ: March 24-27, 2014. "Five Trends to Watch in 2014 ," CEA Winter Break, Vail, CO: March 21, 2014. "Tech Trends to Watch from 2014 CES," Mitre, McLean, VA: February 7, 2014. "2014 CES Recap (webcast)," Consumer Electronics Association, Arlington, VA: January 23, 2014. CES 2014 Trends (panelist), 2014 IEEE International Conference on Consumer Electronics (ICCE), Las Vegas, NV: January 12, 2014. "2014 International CES Trends to Watch," Research Summit at the 2013 International CES, Las Vegas, NV: January 6, 2014. "2014 International CES Trends to Watch," Unveiled at the 2013 International CES, Las Vegas, NV: January 5, 2014. "2014 International CES Trends to Watch," 9th annual Livingston Nanotechnology Conference, New York, NY: December 13, 2013. "An Update on Ultra HD," 4K Next Generation Content: The Road Ahead, Culver City, CA: December 4, 2013. "Black Friday Recap and Final Holiday Outlook, (webinar)," Consumer Electronics Association, Arlington, VA: December 2, 2013. "2013 Holiday Sales and Forecast + 2014 CES Trends to Watch," CES Unveiled NEW YORK, New York City, NY: November 12, 2013. CEA Economic Trends Update, CEO Summit, Rancho Palos Verdes, CA: October 23-25, 2013. 3D Printing -Prototyping A New Industry (moderator), CEA Industry Forum, Los Angeles, CA: October 22, 2013. 2013 Holiday Sales and Forecast, CEA Industry Forum, Los Angeles, CA: October 22, 2013. Five Technologies to Watch (panelist), CEA Industry Forum, Los Angeles, CA: October 21, 2013. "Global Consumer Tech Trends, the 2014 CES and Implications for Israel", CES Unveiled TLV 2013, Tel Aviv, Israel: October 7, 2013. "Global Consumer Tech Trends, the 2014 CES and Implications for France", CES Unveiled PARIS, Paris, France: October 3, 2013. "Global Consumer Technology Trends, the 2014 CES and Implications for the UK", 3rd Annual CES Unveiled LONDON, London, England: October 1, 2013. "Receding Risks and Building Momentum", ATREG’s 2013 Semiconductor Leadership Summit, Seattle, WA: September 11-12, 2013. 3D Printing, the Internet of Things, and Transparent Computing: Economic Impact of Breakthrough Technologies (moderator), 55th NABE Annual Meeting: Navigating the Information Economy: Creative Destruction in Business and Economic Thinking, San Francisco, CA: September 9, 2013. "Next Digital Decade" (Opening Keynote), 930gov, Washington, DC: August 21, 2013. "Mid-Year Update: Receding Risks and Building Momentum", Levin Consulting Executive Summit, Carlsbad, CA: July 23-24, 2013. "Mid-Year Update: Receding Risks and Building Momentum", CEA Audio Board Retreat, Arlington VA: July 18, 2013. "Mid-Year Update: Receding Risks and Building Momentum", CEA Automotive Electronics Board Retreat, Arlington VA: July 17, 2013. "The Current State of UltraHD," Ultra HD Conference, New York, NY: June 27, 2013. Selling Second Screen at Retail (panelist), 2nd Screen Summit, New York, NY: June 27, 2013. "Trends in Consumer Tech" (Breakfast Keynote), New York Angels, New York, NY: June 26, 2013. "Tablets vs. PC Update," CEA Research Summit, New York, NY: June 24, 2013. "Mid-Year Update: Receding Risks and Building Momentum," CEA Research Summit, New York, NY: June 24, 2013. "A Vacation from Calamity: An Economic Update," CEA SBC Retreat, Arlington, VA: June 11, 2013. Invited Judge, Destination Innovation, Washington, DC: May, 6, 2013. "The Second Digital Decade," Hong Kong Electronics Fair, Hong Kong April 15, 2013. "Powering Everyday Life—the 2nd Digital Decade,", Edison Foundation’s Powering the People: Innovations for a Better World, Washington, DC: March 21, 2013. Mobile Commerce (panelist), ISI Retail Summit, Scottsdale, AZ: March 19-21, 2013. The Evolving World of Innovation, Global Electronics Forum 2013, Shanghai, China: March 13-15, 2013. "2013 – Uncertainties Finally Abating," CEA Economic Retreat, Snowmass, CO: March 8 - 10, 2013. "How’d We Do? A Post-Holiday Economic Outlook, (webinar)," Consumer Electronics Association, Arlington, VA: January 31, 2013. "Tech Trends from the 2013 International CES (conference call)," Young Presidents Organization, Arlington, VA: January 30, 2013. "Tech Trends from the 2013 International CES," Northern European Summit, Helsinki, Finland: January 24, 2013. "The Next Digital Decade: Implications for Business," Hanken Finance Day, Hanken School of Economics, Helsinki, Finland: January 24, 2013. "2013 Gaming Trends," Games Summit at the 2013 International CES, Las Vegas, NV: January 10, 2013. "The Future of Brick and Mortar in an Online World," 2013 International CES, Las Vegas, NV: January 8, 2013. "Holiday 2012: A Mobile Movement or Ending on a Flat Note?," 2013 International CES, Las Vegas, NV: January 8, 2013. "2013 International CES Trends to Watch," Research Summit at the 2013 International CES, Las Vegas, NV: January 7, 2013. "The Second Digital Decade," Digital Asia, Sentosa Island, Singapore: December 4, 2012. "Black Friday Recap and Final Holiday Outlook, (webinar)," Consumer Electronics Association, Arlington, VA: November 27, 2012. "2012 Holiday Sales and Forecast + 2013 CES Trends to Watch," CES Unveiled LONDON, London, England: November 15, 2012. "2012 Holiday Sales and Forecast + 2013 CES Trends to Watch," International CES New York Press Preview, New York City, NY: November 12, 2012. "The Second Digital Decade," MEMs Executive Conference, Scottsdale, AZ: November 8, 2012. MEMS Technology Showcase (moderator), MEMs Executive Conference, Scottsdale, AZ: November 8, 2012. "Is it Really as Bad as it Feels? The State of the Industry," CE Pro Summit, Houston, TX: November 7, 2012. "7 Trends to Watch....with more to come at the 2013 CES," CES Unveiled STOCKHOLM Consumer Technology Trends Conference, Stockholm, Sweden: October 29, 2012. Smart TVs, Tablets and Phones: Oh My! The New World of Direct-to-Consumer Media (panelist), Entertainment Matters at CES event, Beverly, CA: October 24, 2012. Beyond the Horizon: Forecasting the Future for Consumer Tech (panelist), CEA Research Summit, San Francisco, CA: October 17, 2012. "Of Holidays, Economies, Elections, and the Current State of Consumer Tech: Five Things You Need to Know Now", CEA Research Summit, San Francisco, CA: October 17, 2012. "2102 Holiday Sales and Forecast," CEA Industry Forum, San Francisco, CA: October 16, 2012. Five Technologies to Watch (panelist), CEA Industry Forum, San Francisco, CA: October 15, 2012. "Is it Really as Bad as it Feels? The State of the Industry," TechHome Division Board Strategic Planning Meeting, San Francisco, CA: October 14, 2012. "Is it Really as Bad as it Feels? The State of the Industry," IPRO, Austin, TX: October 3, 2012. "Global Digital Revolution - What's Next? ", CEATEC, Tokyo, Japan: October 3, 2012. “Is it Really as Bad as it Feels? The State of the Industry,” ElectroFederation Canada’s Annual Economic Forecast Event, Toronto, Canada: September 20, 2012. "State of the Industry," Polaroid Partner Symposium. Chaska, MN: September 6, 2012. Consumer Tech Outlook, Levin Consulting Executive Summit, Dana Point, CA: July 18, 2012. "CEA Industry Update," CEA LineShows, New York, NY: June 27, 2012. "Mid-Year Update: A Meltdown in the Second Half?," CEA Research Summit, New York, NY: June 26, 2012. Fireside: The Evolution of Viewing Behavior in the Age of Multiscreen TV, The TV of Tomorrow, San Francisco, CA: June 13, 2012. Economic Update - A Look at the Year Ahead, Consumer Electronics Association Small Business Council Peer-to-Peer Business Roundtable, Arlington, VA: June 6, 2012. "The Second Digital Decade (conference call)," Young Presidents Organization, Arlington, VA: May 22, 2012. "The State of Mobile Connectivity and the Next Major Battlefields," Global Mobile Internet Conference. Beijing, China: May 11, 2012. "2012 Trends to Watch," 17th Annual World Electronics Forum & SEIPI Membership Meeting. Cebu, Philippians: April 19, 2012. "The Digital Consumer (panelist)," New Digital Economics: Executive Brainstorm & Innovation Forum. San Francisco, CA: March 27-28, 2012. "Digital Media Trends," Digital Media Summit. Toronto, Canada: March 21-22, 2012. "Uncertainty Redux," CEA Economic Retreat. Vail, CO: March 2, 2012. "The State of Consumer Tech," PCB Executive Management Meeting, San Diego, CA: February 27, 2012. "Adding Context to Social TV," Second Screen Summit. Santa Monica, CA: February 22, 2012. "How’d we do? A Post-Holiday Economic Outlook (webinar)," Consumer Electronics Association, Arlington, VA: January 25, 2012. "CES: It’s come and gone, what did we learn? (webinar)," Consumer Electronics Association, Arlington, VA: January 19, 2012. "Tech Trends from the 2012 International CES", SEMI Industry Strategy Symposium. Half Moon Bay, CA: January 15-18, 2012. "The 2011 Holiday Season: Santa on Strike? (with Steve Baker)", 2012 International CES, Las Vegas, NV: January 10, 2012. "2012 International CES Trends to Watch," 2012 International CES, Las Vegas, NV: January 9, 2012. "2012 International CES Trends to Watch," 2012 International CES, Las Vegas, NV: January 8, 2012. "Black Friday Aftermath and the Start of Holiday Shopping Season (webinar)," Consumer Electronics Association, Arlington, VA: November 28, 2011. "Ready, Set, Go! The Holiday Shopping Season is Here! (webinar)," Consumer Electronics Association, Arlington, VA: November 7, 2011. MEMS in Consumer Products (panelist), MEMs Executive Congress, Monterey, CA: November 3, 2011. "EVA Analysis for the Consumer Electronics Association (with Bennett Stewart)," Consumer Electronics Association, Arlington, VA: November 2, 2011. "Magic Eight Ball: A Roundtable of Today's Brightest Analysts (Moderator)", CEA Research Summit @ Industry Forum , San Diego, CA: October 26, 2011. "The Tablet Era? (with Chris Ely)", CEA Research Summit @ Industry Forum , San Diego, CA: October 26, 2011. "A View of the Current Economic Landscape", CEA Research Summit @ Industry Forum , San Diego, CA: October 26, 2011. "Holiday 2011: The Long Pull Up (with Steve Koenig)," CEA Industry Forum, San Diego, CA: October 25, 2011. 5 Technology Trends to Watch (panelist), CEA Industry Forum, San Diego, CA: October 24, 2011. "Reinventing Consumer Tech," TEDx PennQuarter, Washington, DC: October 18, 2011. "Trends and Applications: Smartphone, Tablet and TV," Hong Kong Electronics Fair, Hong Kong October 13, 2011. "Shhh. . . A Sneek Peak at the 2012 International CES," CEO Summit, Lake Maggiore, Italy: October 3, 2011. "State of the Industry," Polaroid Symposium. Hopkins, MN: September 22, 2011. "Monetizing the New Wireless World," Mega Group, Nashville, TN: August 26, 2011. "State of the Tablet Economy," Clean Slate, NY, NY: July 19, 2011. "How the Tablet is Stimulating Online Media Consumption and Creating New Revenue Opportunities," Clean Slate, NY, NY: July 19, 2011. "Top Digital Media Trends," Digital Media Conference, Arlington, VA: June 17, 2011. "Mid-Year Reality Check," CE Week, NY, NY: June 22, 2011. "Where's the Growth in Consumer Tech," CEA Research Summit @CE Week, NY, NY: June 23, 2011. "Tablet Trends and Forecast," SID 2011: eBook & Tablet Market Evolution Conference @ Display Week 2011, Los Angeles, CA: May 19, 2011. "eReader Trends and Forecast," SID 2011: eBook & Tablet Market Evolution Conference @ Display Week 2011, Los Angeles, CA: May 19, 2011. "Designing a Successful Society Business Model for the Future," 2nd Annual Strategic Leadership Retreat In conjunction with the CFA Institute Annual Conference, Edinburgh, Scotland : May 7, 2011. "State of the Tablet Market," Consumer Electronics Association, Arlington, VA: May 5, 2011. "Opportunities in Emerging Tech: What to do about the tablet," Pro Group Spring Meetings, Dana Point, CA: May 2, 2011. Domestic Policies in the New Normal (panelist), International Markets Summit, Towson, MD: April 26, 2011. Tech Trends Redefining the Future, Young President's Organization, Hong Kong: April 14, 2011. Tech Trends Redefining the Future and Implications for Hong Kong, Hong Kong Electronics Fair, Hong Kong April 13, 2011. "Quarterly Economic Update: The Impact of North Africa, Oil and the Tragedy in Japan on 2011," Consumer Electronics Association, Arlington, VA: April 7, 2011. "Trends from the 2011 CES," Consumer Electronics Association, Arlington, VA: April 5, 2011. "Themes for 2011," MEGA Group, San Antonio, TX: March 11, 2011. "CES Trends: Rising Above the Noise," CEA Economic Retreat, Snowmass Village, CO: March 4, 2011. "The Year Ahead," CEA Economic Retreat, Snowmass Village, CO: March 3, 2011. "How'd we Do? A post-holiday economic outlook(webcast)," Consumer Electronics Association, Arlington, VA: January 18, 2011. "CES: It's come and gone, what did we learn(webcast)," Consumer Electronics Association, Arlington, VA: January 13, 2011. "Expectatons for the Year Ahead," Industry Strategy Symposium, Half Moon Bay, CA: January 11, 2011. "2011 CES Trends to Watch," World Electronics Forum (WEF), Las Vegas, NV: January 9, 2011. "The 2010 Holiday Season: Rebound or Another Lackluster Quarter? ", 2011 International CES,Las Vegas, NV: January 8, 2011. "The Great Slate Debate," 2011 International CES, Las Vegas, NV: January 6, 2011. "2011 CES Trends to Watch," 2011 International CES, Las Vegas, NV: January 5, 2011. "Retrospective and Predictions for the Future of Audio" (Keynote), ALMA International 50th Anniversary Gala and Winter Symposium, Las Vegas, NV: January 4, 2010. "State of the Consumer Tech Industry and 2011 CES Trends to Watch", 2011 International CES, Las Vegas, NV: January 4, 2011. "Sensing--Future of Consumer Tech? How Sensors are Combining to Create Tomorrow’s New New", Churchill Club, Mountain View, CA: December 17, 201o. "Black Friday Aftermath(webcast)," Consumer Electronics Association, Arlington, VA: November 30, 2010. "Economic and Consumer Tech Update: An Early Look at the Fourth Quarter (webcast)," Consumer Electronics Association, Arlington, VA: November 11, 2010. "State of the Industry and CES Trends to Watch," CES New York Press Preview featuring CES Unveiled, New York City, NY: November 9, 2010. "2010 Holiday Outlook: Competing for Dollars," IPRO, Scottsdale, AZ: October 22, 2010. "Global Demand Projections for Chip Products," Rare Metals Summit III, Washington, DC: October 25, 2010. "Outlook for the Year Ahead: The Holidays and 2011," CEA Research Summit, San Francisco, CA: October 20, 2010. "2010 Holiday Sales and Forecast," CEA Industry Forum, San Francisco, CA: October 19, 2010. "Five Technologies to Watch Session," CEA Industry Forum, San Francisco, CA: October 18, 2010.
iStage Emcee, CEA Industry Forum, San Francisco, CA: October 18, 2010. "Economy and Electronics Industry Forecast," IPC Electronics Industry Executive Summit, Palm Springs, CA: October 13-14, 2010. "3D in the Home. What have we learned so far?," ESCA Europe Edge Conference, London, England: September 29-30, 2010. "Economic and Consumer Tech Update: An Early Look at the Fourth Quarter (webcast)," Consumer Electronics Association, Arlington, VA: September 7, 2010. "The Health of the Consumer, Current Usage Patterns, and Technologies Trends to Watch," Levin Consulting Executive Summit , Carlsbad, CA: July 29-30, 2010. "Three Digital Media Trends," Digital Media Conference, Mclean, VA: June 25, 2010. "CEA’s Mid-Year Reality Check," CEA LineShows, New York, NY: June 22, 2010. "View from the Sales Floor: What Associates are Seeing and Executives Need to Know," Selling 3D: A New Dimension for Retail, Beverly Hills, CA: June 16, 2010. "Understanding the Mobile Web," (Keynote) Global Mobile Internet Conference 2010, Beijing, China: May 26-29, 2010. USA Country Panel (Panelist), Global Mobile Internet Conference 2010, Beijing, China: May 26-29, 2010. "Understanding where 3D Fits in...and a few other thoughts on the gaming landscape," LA Games Conference, Los Angeles, CA: April 29, 2010. “The Future of Consumer Tech: Trends and Outlook,” SFNABE, San Francisco, CA: April 7, 2010. “Consumer Returns and the Outlook for the Consumer Technology Sector,” Consumer Returns Roadshows - Reverse Logistics Strategies Workshop, San Jose, CA: April 6, 2010. "Five Thing to Define the Next Decade" (Keynote), ISCE, Durham, NC: March 26, 2010. “Building Home Technology’s Future,” EHX Spring 2010, Orlando, FL: March 26, 2010. “A Current View of the Economy and the CE Industry: Is the Recovery Sustainable,” Consumer Electronics Association, Arlington, VA: March 18, 2010. “Will the Forecasts Hold True? A Look at Issues Impacting the Economy and the CE Industry in 2010 and Beyond,” CEA Economic Retreat, Park City, UT: February 25, 2010. “Economy and Consumer Tech Outlook: Upside and Downside Risks to the Forecast,” Wasatch Front Economic Forum, Salt Lake City, UT: February 23, 2010. "Consumer Video Marketplace," 2010 HPA Tech Retreat, Palm Springs, CA: February 17, 2010. “Recapping CES 2010: Hot Trends, Topics, and Things to Watch,” Consumer Electronics Association, Arlington, VA: January 26, 2010. "Sports and 3DTV: How Important Will it Be," SVG Sports TechLA: Inside 3D Sports Production, Los Angeles, CA: January 19, 2010. “What’s the Scoop at CES,” Digital Media Insider, Las Vegas, NV: January 8, 2010. “Recessions and Depressions: The 2009 Holiday Season and the Year Ahead for Consumer Tech,” 2010 International CES, Las Vegas, NV: January 7, 2010. “The Global Market for Consumer Electronics,” KOTRA, Las Vegas, NV: January 6, 2010. “2010 CES Trends to Watch: 4 Days 4 Predictions,” 2010 International CES, Las Vegas, NV: January 5, 2010. “Emerging Tech: Expectations for e-books to netbooks,” Consumer Electronics Association, Arlington, VA: December 16, 2009. “From LA to LAS: What the Content World Should Look for at the 2010 International CES,” Consumer Electronics Association, Arlington, VA: December 15, 2009. “Economic and Consumer Tech Outlook,” Fleck Connections Conference: Dana Point, CA: December 3, 2009. “Black Friday Aftermath and the Start of Holiday Shopping Season,” Consumer Electronics Association, Arlington, VA: December 2, 2009. “The Convergence of the Internet & the Television: Who Will Be the Winners and the Losers? (Panelist),” Future of TV, New York, NY: November 19, 2009. “Future Technologies and the Direction of the CE Industry,” World Electronics Forum, Shenzhen, China: November 15, 2009. “CE Holiday Outlook and Technology Trends at CES.” CES New York Press Preview featuring CES Unveiled @ NY, New York, NY: November 10, 2009. “Blu-ray: exactly where it ought to be,” Blu-Con 2.0, Los Angeles, CA: November 3rd, 2009. “Holiday Trends and Black Friday Outlook,” Consumer Electronics Association, Arlington, VA: November 2, 2009. “Holiday 2009: A tale of two holidays,” Twice State of the Industry Webinar, New York, NY: October 27, 2009. “Hot Tech Trends: From 2010 International CES and Beyond,” CEA Industry Forum, Phoenix, AZ: October 20, 2009. “Economic Outlook: The Economy in CE Terms (Moderator),” CEA Industry Forum, Phoenix, AZ: October 20, 2009. “Holiday 2009: A tale of two holidays (best and worst of times),” CEA Industry Forum, Phoenix, AZ: October 9, 2009.
i-stage Competition Moderator, Phoenix, AZ: October 19, 2009. “Consumer Tech Update and Trends to Watch,” ThinkTech 2009: PowerUp, Mountain View, CA: October 1, 2009. “Consumer Tech Update and Trends to Watch,” Google Tech Talk, Mountain View, CA: September 30, 2009. “Consumer Innovation, Agents of Change, Technology to the Rescue, Innovation for Tomorrow,” IBC, Amsterdam, Netherlands, September 12, 2009. “The Recession is Over: What Next for Consumer Tech,” Consumer Electronics Association, Arlington, VA: September 3, 2009. “How the Great Recession is Changing the CE Landscape,” Primetime! By Nationwide, Orlando, FL: August 18, 2009. “Has the Economy Bottomed Out or Can We Expect More of the Same?,” Consumer Electronics Association, Arlington, VA: June 18, 2009. “Consumer Tech Trends in an Increasingly Digital World,” CEA Line Shows and Digital Downtown Conference, New York, NY: June 12, 2009. “Mid-Year CE Market Update: Taking the Pulse of Today’s Tech Economy,” CEA Line Shows and Digital Downtown Conference, New York, NY: June 11, 2009. “Retail Circa 2009: Trends Changing the Landscape,” Pro Group Annual Meeting, Las Vegas, NV: May 19, 2009. Testimony before the Federal Communications Committee, Washington, DC: June 3, 2009. “Retail Circa 2009: Three Trends Forever Changing the Landscape,” Retail Vision, Boca Raton, FL: April 29, 2009. “State of the Builder,” Consumer Electronics Association, Arlington, VA: April 8, 2009. “Economic Renewal or More of the Same? Quarterly Economic Outlook,” Consumer Electronics Association, Arlington, VA: March 25, 2009. “3-D TV: Where Are We Now and Where Are Consumers?,” Consumer Electronics Association, Arlington, VA: March 19, 2009. “State of the Home Technology Builder Market: Can Home Technology Rebuild the Housing Market?,” 2009 Spring EHX, Orlando, FL: March 13, 2009. “Quarterly Economic Outlook,” Consumer Electronics Association, Arlington, VA: February 18, 2009. “Where’s the Lemonade,” 2009 CEA Winter Retreat, Jackson Hole, WY: February 5, 2009. “The 2008 Holiday Season: A Giving One or the Grinch,” 2009 International CES, Las Vegas, NV: January 9, 2009. “State of the Industry: Stability and Opportunity in Recessionary Times,” 2009 International CES, Las Vegas, NV: January 6, 2009. “Holiday Outlook Update and Black Friday Recap,” Consumer Electronics Association, Arlington, VA: December 4, 2008. “Trends to Watch,” The Future of TV, New York, NY: November 17, 2008. “Economic Outlook,” Consumer Electronics Association, Arlington, VA: November 5, 2008. “The Battle for the Palm,” CEA Industry Forum, Las Vegas, NV: October 20, 2008. “Holiday 2008,” CEA Industry Forum, Las Vegas, NV: October 20, 2008. “Economy in Crisis: How We Got Here, Where Do We Go From Here and What Does it Mean for Consumer Electronics and Your Business,” Consumer Electronics Association, Arlington, VA: October 7, 2008. “The Next Decade of Gaming,” New York Games Conference, New York, NY: September 25, 2008. “The Disconnect between the Economy and Consumer Technology.” ElectroFederation Canada’s Annual Economic Forecast Event, Toronto, Canada: September 18, 2008. “Quarterly Economic Outlook,” Consumer Electronics Association, Arlington, VA: August 26, 2008. “The Digital & Connected Home: The Connected TV and Set-top as the Consumer Gateway to Entertainment & Information - Set-Top, Broadband, Guides & PVRs (Panelist),” Digital Hollywood, San Jose, CA: August 5, 2008. “Trends in CE Reuse, Recycle and Removal,” FCC Consumer Advisory Committee, Washington, DC, June 27, 2008. “The Juxtaposition of Technology, Services, and Media,” 5th Annual Digital Media Conference, Tyson’s Corner, VA: June 26, 2008. “From Wall Street to Main Street,” Digital Downtown, New York, NY: June 12, 2008. “The State of Consumer Tech,” WSTS Spring 2008 Meetings, Seattle, WA: May 13, 2008. “Quarterly Economic Outlook: Where is the Market Heading?,” Consumer Electronics Association, Arlington, VA: April 30, 2008. “State of the Home Technology Builder Study Webcast,” Consumer Electronics Association, Arlington, VA: April 16, 2008. “Trade: Where Economics Meets Politics (Moderator),” Washington Forum 2008, Washingon, DC: April 2, 2008. “The Dichotomy: macroeconomics v. technology,” Time Warner Cable Senior Management Retreat, New York, NY, March 31, 2008. “The State of the Builder Technology Market,” EHX Spring 2008, Orlando, Florida: March 14, 2008. “Trends in Consumer Technologies,” Consumer Electronics Association, Arlington, VA: February 27, 2008. “Quarterly Economic Outlook,” Consumer Electronics Association, Arlington, VA: February 14, 2008. “The State of Consumer Tech,” 2008 Hollywood Post Alliance Technology Retreat, Palm Springs, CA: February 20, 2008. “Economic Divergence and Opportunity in 2008, Or The Two Opinions of an Economist,” Industry Strategy Symposium, Half Moon Bay, CA: January 13, 2008. “Technologies in Practice (Moderator),” 2008 International CES, Las Vegas, Nevada: January 9, 2008. “Holiday Hot or Holiday Hype? Will it Carry Over into 2008?” 2008 International CES, Las Vegas, Nevada: January 8, 2008. “Nationwide Deployment of Broadband: Are We There Yet?” 2008 International CES, Las Vegas, Nevada: January 7, 2008. “2008 State of the Industry,” 2008 International CES, Las Vegas, Nevada: January 5, 2008. “From Sandhill to Main Street,” Churchill Club, Palo Alto, CA: December 5, 2007. “Holiday Outlook and Trends to Watch,” 2007 CES NYC Press Preview, New York City, NY: November 13, 2007. “The State of CE Retail,” Consumer Electronics Association, Arlington, VA, November 29, 2007. “State of CE Retail,” 2007 CEA Industry Forum, San Diego, CA: October 14-17, 2007. “2007 Holiday Sales and Forecasts,” 2007 CEA Industry Forum, San Diego, CA: October 14-17, 2007. “Connecting Tomorrow's Consumer: Consumer Technology Trends to Watch,” Fleck Connection Congress, Las Vegas, NV: October 4-5, 2007. “The Micro Underpinnings of a Macro Story: Where the Opportunity Exists,” PMC-Sierra Senior Management Strategic Planning Meeting, Santa Clara, CA, September 24, 2007. “Consumer Electronics: Three Things to Watch,” Beyond Bentonville: Best Practices in Electronics & Entertainment, Bentonville, AR: June 12, 2007. “The Future of Consumer Electronics and it’s Driving Applications,” The Semico Summit, Phoenix, Arizona: March 11-13, 2007. “The State of the Builder Technology Market,” EHX Spring 2007, Orlando, Florida: March 8-10, 2007. “Uncovering Competitive Intelligence to Drive Success,” Consumer Electronics Association, Arlington, VA, February 28, 2007. “Green is the New Black: Electronics Recycling from the Eye of the Consumer,” 2007 International CES, Las Vegas, Nevada: January 8-11, 2007. “Green is the New Black: Strides of the Consumer Electronics Industry,” 2007 International CES, Las Vegas, Nevada: January 8-11, 2007. “2007 State of the Industry,” 2007 International CES, Las Vegas, Nevada: January 8-11, 2007. “How Fat is Your Wallet? The State of the Consumer heading into 2007,” 2007 International CES, Las Vegas, Nevada: January 8-11, 2007. “Forecasting 101: Creating a Holiday Forecast,” 2006 CEA Industry Forum, San Francisco, California: October 16-18, 2006. “Tracking the Industry - An Economics Perspective,” 2006 International CES, Las Vegas, Nevada: January 5-8, 2006. “Looking at Today, Focusing on Tomorrow,” E-Scrap 2006: The North American Electronics Recycling Conference, Orlando, Florida: October 27-28, 2005.